Zero Tolerance 0562CF takes one of Rick Hinderer's most popular designs into high-end production. The 0562CF features American-made Crucible CPM 20CV Steel features outstanding edge retention and comes with the Rick Hinderer flat ground "slicer grind" that gives you an outstanding cutting geometry. The CPM technology provides the user with an extremely durable, evenly distrusted alloy of steel. With a blade length or 3.5 inches and a closed length of 4.8 inches, this is the ideal knife for everyday use. 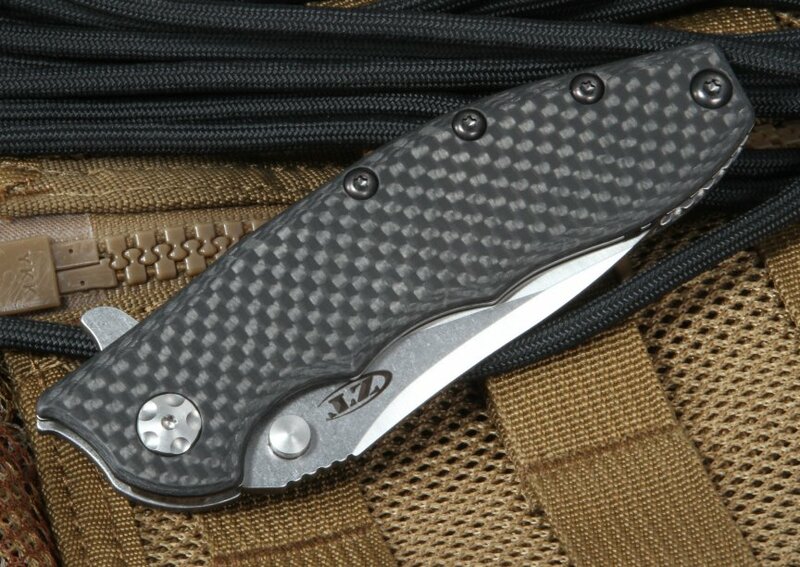 The super strong flipper handle is made of carbon fiber and stonewashed titanium. The frame lock features a hardened steel lock bar inserts and stabilizeer. This feature provides extended lock life and years of lock dependability. The blade's pivot sets inside a washer filled with caged ball bearings for effortless opening and closing. For the perfect finishing touch, we designed the 0562CF's pocket clip for extra deep pocket carry and is totally reversible to fit any user. 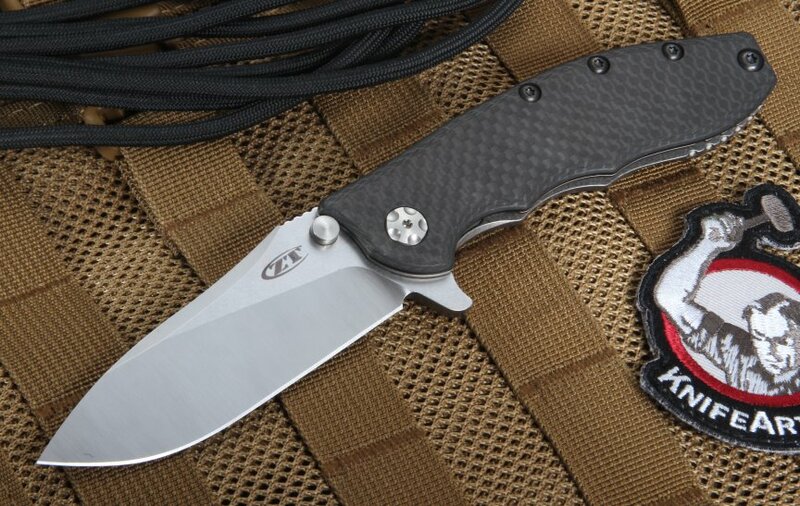 Every ZT 0562CF is proudly made in the U.S.A. to the highest standards in the industry. Don't miss a great opportunity to own a great knife. We are an authorized dealer for ZT knives and sell each one with a full satisfaction guarantee, if you don't like it we offer a no hassle return policy. We also provide free US shipping and get your knife on the way with fast, same business day turn-around. Best customer service! Ships same day! They always seem to have the hard to get items! couldn't ask for anymore! Thanks Guys! This knife seems to be extremely well made. It's a little heavier than I'd like, but it feels amazingly solid as a result. It's like holding a solid block of steel in your hand. When this blade flips opened, it does so with authority! Unlike the Spyderco Southard (that I bought at the same time) which sort of more slowly and gently flips open, the 0562 CF flies open very fast and locks up very hard. The Southard is fantastic, but it feels a bit plastic in comparison. I actually bought the ZT because someone recommended it in an Amazon review of the Southard, saying it's a much better knife. I actually like them both for different reasons. The Southard is an awesome knife if you want something lighter weight. The ZT seems a lot tougher. I will definitely keep them both. The detent on the ZT is VERY strong, especially at first. And when I hold the knife to flip it open, a couple fingers naturally want to rest on the lock bar, which puts added pressure against the detent. It took some practice to keep my fingers from pressing on the lock bar. Now it's not something I have to think about after a couple hundred flips. 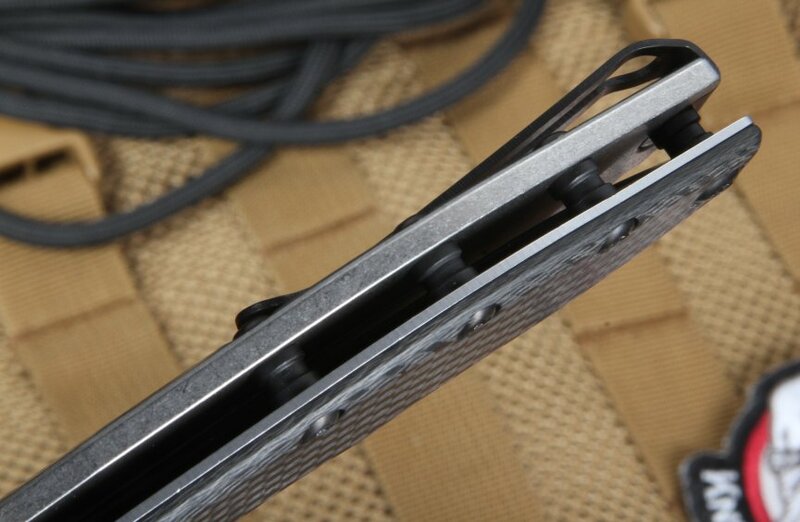 The detent is also softening a little as it breaks in, but still has a TON of flipping force. You can flip it at any angle with no wrist snap and the blade just flies out and locks right up. There's no play at all in the detent with the blade closed. It feels perfect. I don't know if they are all like this one, but mine is just right. The only complaint I have is that the detent is very high when closing the knife. You have to close it quite a bit before you get the blade past the detent, and at that point the blade wanted to close on its own. I was sure at some point I would end up closing it on my thumb. After a few days I noticed the blade was not centered when closed and it had some play in it. So I checked the pivot screws and they were very loose. I tightened them up and the blade then had more friction so it didn't want to close on its own as easily. That felt a lot better to me since the detent is so high and this way it won't close unless I actually push it closed. And it still flips opened just as well as when it was loose. I don't know for sure how tight those pivot screws should be. I'll have to look into it. From the pictures, I wasn't sure how much I would like the carbon fiber. I was leaning toward the G10, but I wanted the M390 blade. However, after seeing it in person and feeling it in my hand, I love it. And the satin finish on the blade is beautiful. 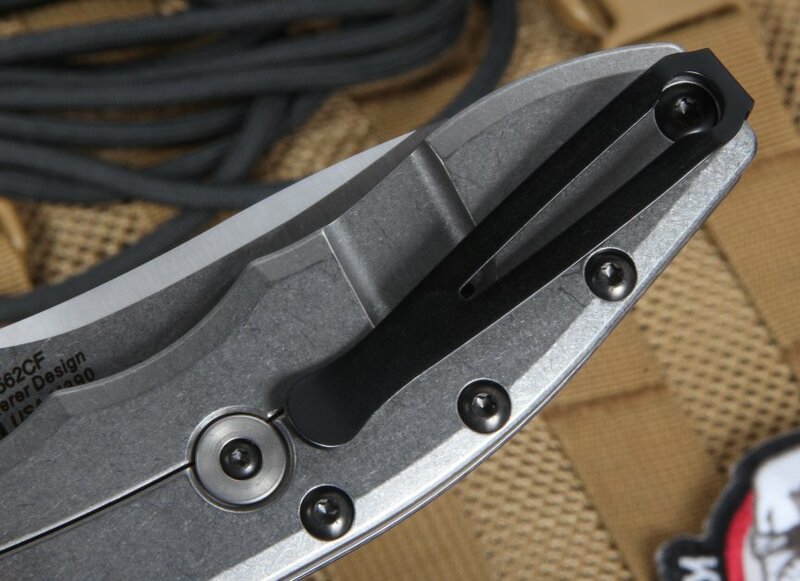 The deep carry clip is also perfect (and black!). I'd love to also have a version of this knife with a less chunky blade to reduce weight a little, and the blade and handle could each be about 1/4" shorter, but that's being very picky. And since you cannot open the knife using the thumb studs (they are not intended to be thumb studs), there's really no discreet way of opening the blade -- it makes a lot of noise when flipped opened. Not a big deal unless you are in an office just trying to open a letter, then you're probably going to scare people. Because of the weight, this will probably end up being my "beater" weekend knife, that I will not be afraid to use for any task. It just feels like you couldn't possibly damage it. Overall I HIGHLY recommend this knife. As long as you're ok with the weight, you will probably not regret buying it. I own quite a few knives including a couple Sebenzas, and I'd say at this moment the ZT 0562CF is my favorite.